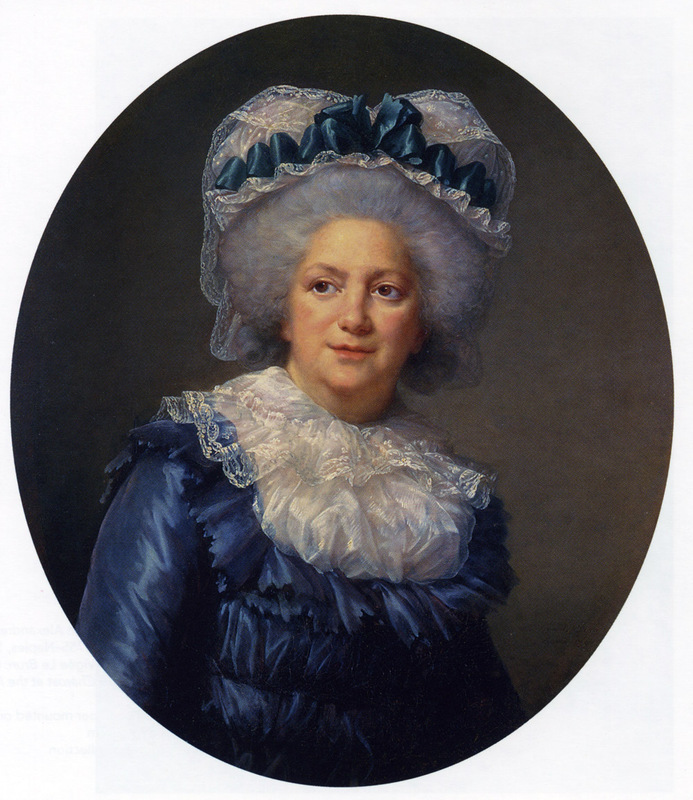 Madame Elisabeth, Elisabeth Philippine Marie Helene of France, Louis XVI's sister was born on 19 may 1764 and she was guillotined on 20 may 1794. View a large image of this portrait. National Museum of Women in the Arts, Washington, D.C. [where it is identified as Mme de Espeveuil]. Photo from Witt Library [where it was identified as Duchesse de Guiche]. 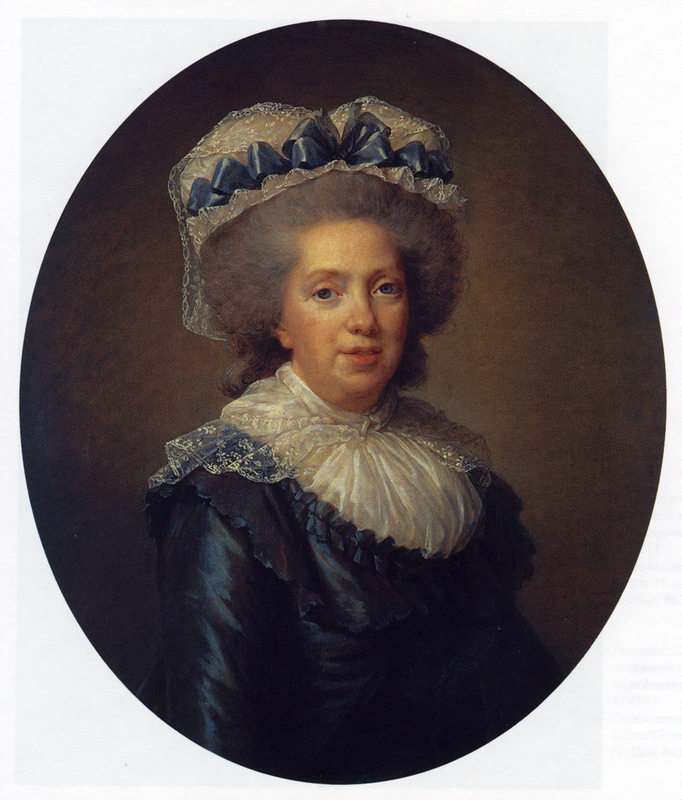 Elisabeth de Lachatre, second wife of Comte de Jaucourt. 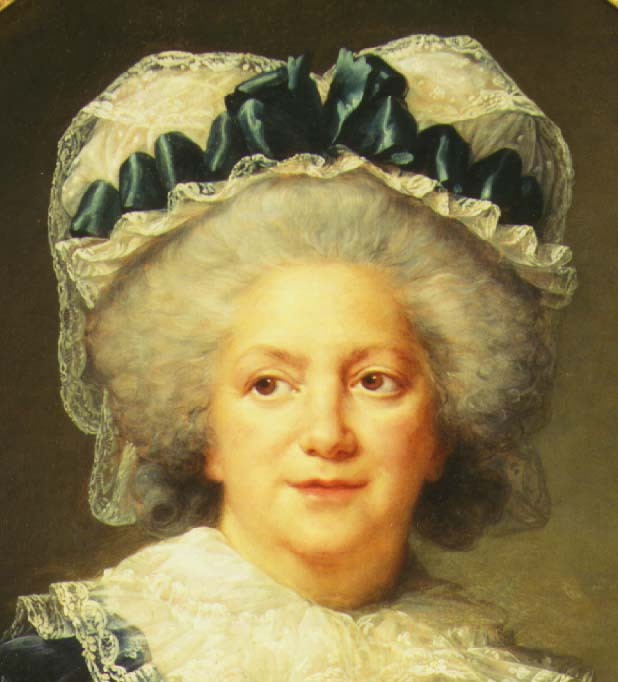 Louise Marie Therese Victoire (1733 - 1799) was the seventh child of Louis XV and his Polish consort, Marie Leczynska, was born at Versailles. A gifted musician, she participated in the musical salon organized in the early 1760's by her older sister Adelaide. The seven year old Mozart performed at the same salon and he dedicated a sonata to Victoire. Without concern for themselves, she and Adelaide nursed their father through his final and very contagious illness. Their nephew the Dauphin ascended the throne as Louis the XVI. 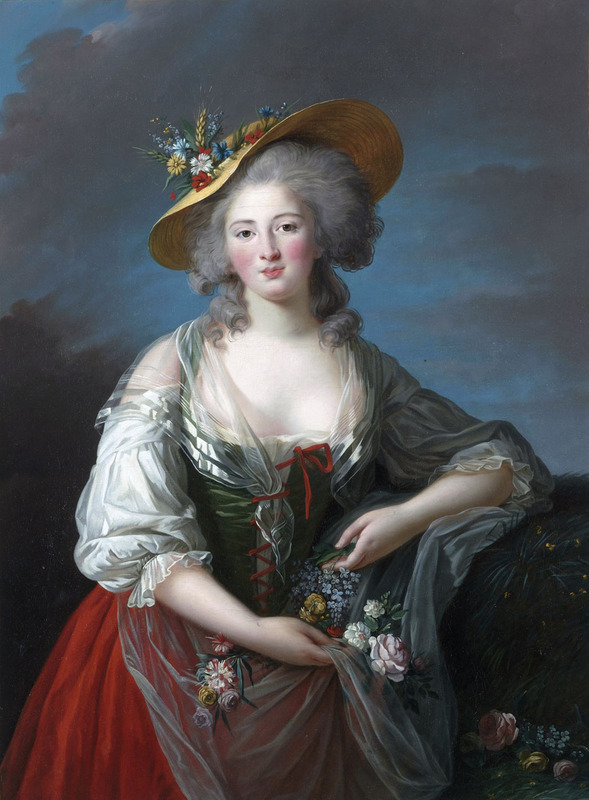 Vigee Le Brun painted Madame Victoire's sister, Madame Adelaide on Art Page 67 the same year. The sisters had fled France at the beginning of the revolution, and Vigee Le Brun painted them in Rome. This impressive portrait (painting detail) hangs in the galleries of the Phoenix Art Museum in Arizona next to a 1787 portrait of Madame Adelaide by Vigee Le Brun's femal rival, Labille-Guiard. An interesting detail: the bow on the bonnet of the princess is duplicated in a carving at the top of the oval frame. It is possible that this frame may have been made by a relative of Vigee Le Brun's, a frame maker. This portrait was displayed in the 2015 Paris Exhibition. Reference Kimbell Exhibition Catalog Number 35 for more details.